Most moms are looking for ways to encourage their children to eat fruits and vegetables. From prizes to charts to rewards of desserts - some work and others are less successful - making dinnertime frustrating and children less-than-excited about eating their veggies. However, the Munch 5-a-Day app puts a new spin on keeping track of fruits and veggies eaten, by using technology in a fun and unique way. 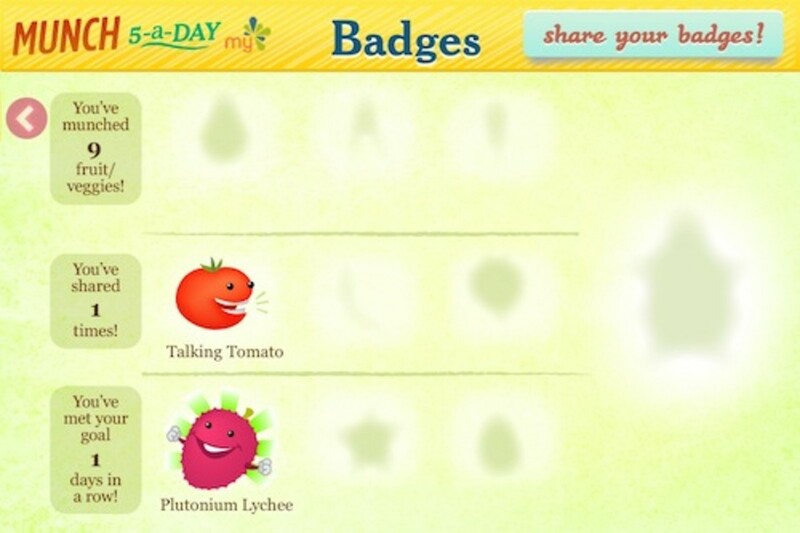 Using a simple game-like interface, children click on a fruit or vegetable icon every time they eat one and then earn silly badges based on making or sharing their goals. As well, goals can be customized to the child, the user can set what their daily goal is, or a larger goal can be set for a family team. Fruits and vegetable "bites" are color coded, especially helpful for picky kids who will happily eat fruit but nothing green! A quick glance at the color record lets the user see if they&apos;ve eaten both categories. Both of my children enjoyed the interactive aspect--anything they can download to their iTouches or mom&apos;s iPhone is a lot of fun! 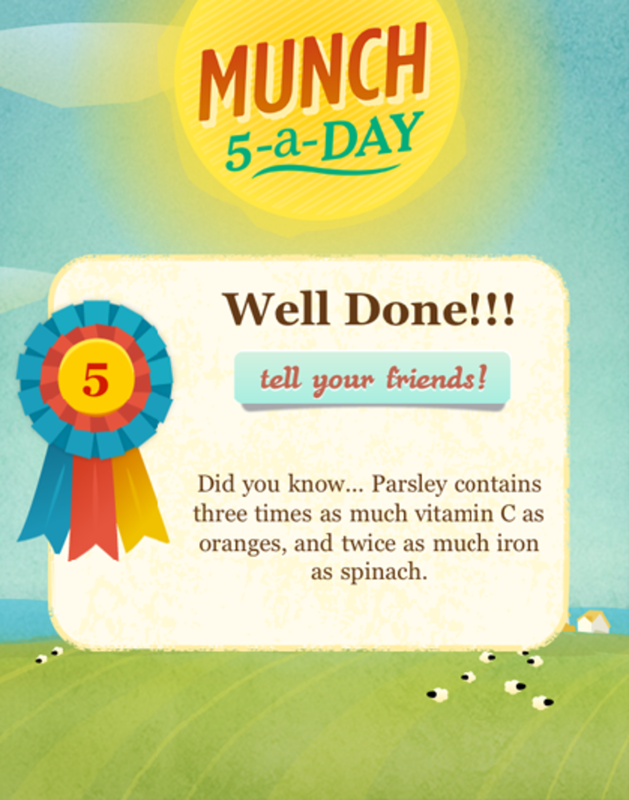 Munch 5-a-Day is a free app from MeYou Health and downloadable for free on iTunes.